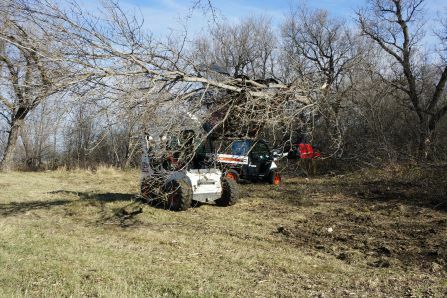 The Tebben Tree Saw is designed to cut down invasive trees and clear unwanted brush. 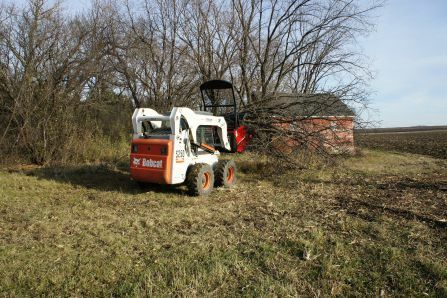 Trees up to 14" diameter can be cut in one pass. 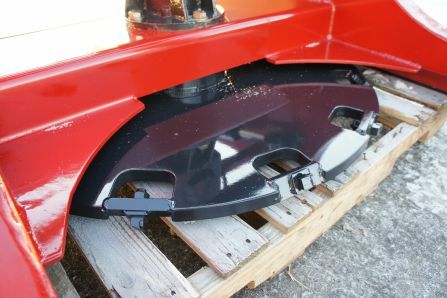 Unit cuts at ground level. 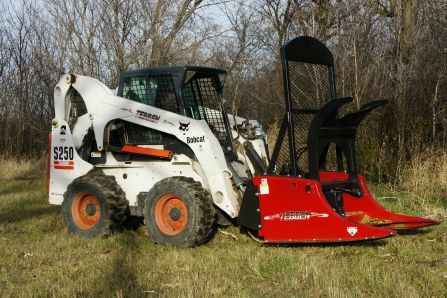 A manual valve is included to run both the blade and grapple separately. 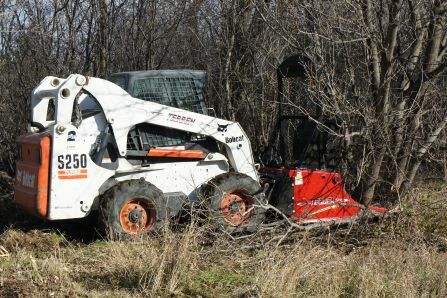 A 57" high brush guard with expanded metal protects both the operator and the machine from flying debris.